How quickly the public shifts its attention, relegating world-changing crises and controversies to the memory dustbin once the issues appear to be resolved or, in the case of epidemics and pandemics, “cured.” In the UK, a nurse who had treated Ebola patients in Sierra Leone was thought to have recovered from her own previous bout with the disease in January. Last week, Pauline Cafferkey was readmitted to a London hospital, and this week her condition was downgraded to critically ill. With the reemergence of Ebola in Cafferkey, authorities have identified 58 of the Scottish nurse’s “close contacts” and offered an experimental vaccine to 40 of them, with 25 having accepted the treatment. Other Ebola survivors are reporting other Ebola-related symptoms, notably including problems with blindness. One American survivor, Dr. Ian Crozier, reports swelling and vision problems and that one of his eyes has changed color since he recovered from Ebola. A World Health Organization (WHO) support officer, Margaret Nanyonga, is in Kenema, Sierra Leone, investigating “post-Ebola syndrome” symptoms and has discovered survivors with significant long-term fatigue and aches plus cases of vision difficulties—and at least two of blindness—making resumption of their pre-Ebola lives and work difficult or impossible..
Its villages and towns are scattered with slouching signboards announcing a parade of foreign-sponsored aid projects—boreholes and school feeding programs, micro-lenders and community clinics. Some of these, of course, have improved life here, but for every project that’s been effective, the Sierra Leoneans I talked to could point to twice as many that flashed and fizzled. For me, all of this was a great reminder of how dangerous an emotion compassion can be, how quickly it can slant towards pity, then condescension—how quickly we can forget to ask those we want to help what they really need. That is a danger not only for aid workers and donors, but for journalists as well. It is so easy to write of the poor, sick, and suffering in a way that makes them seem pitiable and worthy of our empathy and open wallets. It’s so much harder to bring the rest of their lives into the same, sharp focus, to remind readers that our subjects, like us, have complex, contradictory, and sprawling lives that resist easy categorization or easy solutions. That they are not simply empty vessels for us to pour our guilt and good intentions into. Regardless of whether we’re dealing with a pandemic, such as Ebola, or antimicrobial resistance, or with more endemic diseases like malaria or tuberculosis—all of those infectious diseases have one thing in common: Innovations do not come from the free market on its own. But we need these innovations—and therapies, vaccines and diagnostics. I believe, in the wake of the Ebola epidemic, a we’ll be building a lot of momentum in terms of what we need to do as a global society—what the G7 needs to do, what the G20 needs to do, what UN organizations, the World Bank, the private sector need to do—what we need to do collectively in order to resolve this problem, by giving birth to new technologies against infectious diseases. The WHO performed so poorly during the crisis that there is a question of whether the world actually needs it. The answer is yes, it does—but in a revised form, with a clearer mandate, better funding, more competent staff, and less politicization. 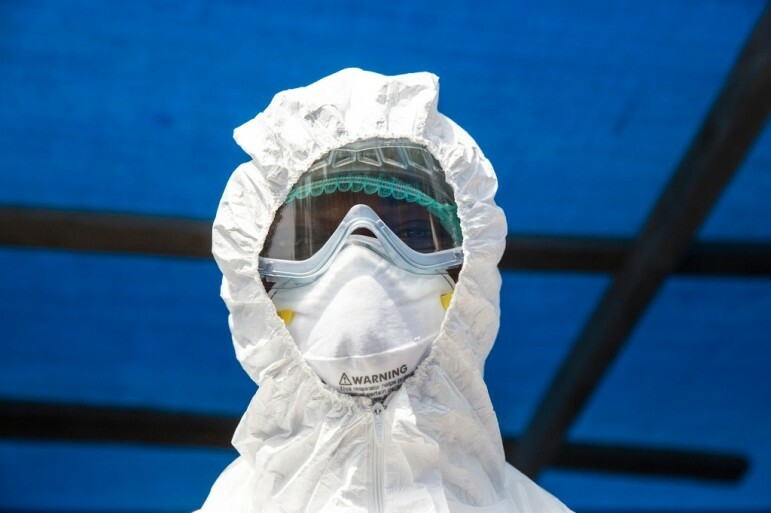 The agency should be clearly at the apex of the global health architecture, not jockeying for command of epidemic response with other organizations, as happened last year.